I purchased this sort of dated, wooden candle holder at a thrift shop for $2.99. First, I removed the candle cup with a screwdriver. I painted the candle holder with Annie Sloan Chalk Paint in "Old White", and wet distressed the piece. Not having a drill bit large enough to make a hole for a funnel tip to fit through posed a problem. My husband said I needed a spade bit. He took it out to the garage and tried to ream the hole larger with a rasp, but the hole got too big and also sort of misshapen. Actually the hole on one side was almost perfect so I turned the wood piece over and used it as the top. But, I still wasn't happy with the big ugly hole on the bottom, even if it didn't show much. I was able to find a washer the next day that covered the hole, and also allowed the funnel tip to go through. I glued the washer on with E6000, and let it dry overnight. I painted the washer and distressed it so the repair wasn't so obvious. I added a metal tag at the top that says "Imagine" with a small nail. The tag is from the Tim Holtz craft collection. Have you seen the funnel string holders on Pinterest? Most of funnels are just hanging on a nail on the wall or garden shed to keep twine handy. Mine is a little fancier. My twine holder is made from a funnel and a thrift shop, dated candle holder! That is so flipping adorable! Sharing! So cute, and creative!! Love! How you think of these things, I will never know....but it is so cute! Such a fun idea, Carlene! Well that is just wonderfully clever Carlene! You always come up with the most creative stuff! Love that you added the washers too! 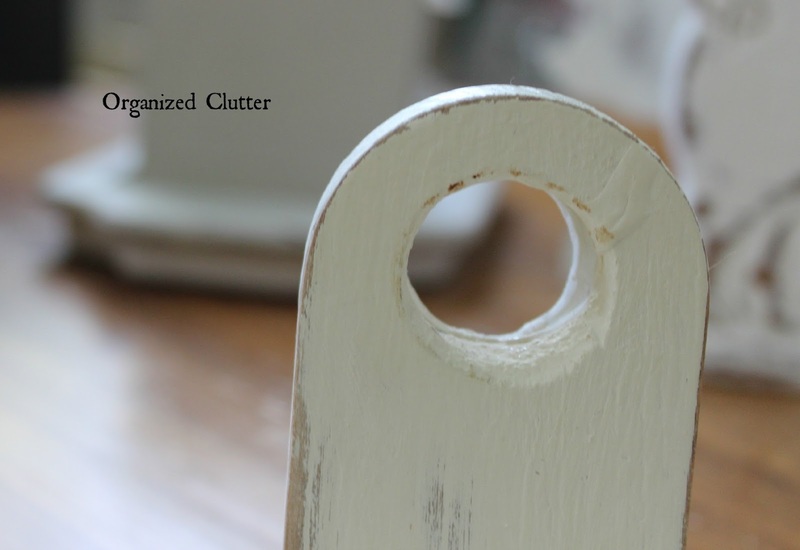 Yes, sometimes round holes are a challenge but your creative fix turned out really nice. So creative and handy. Ohhhhhhh. You make me feel so ordinary. You are in a class all your own, Carlene! Every project you do is just that much more special! Such a cute idea Carlene! Love the rustic feel!! Ingenious idea! How come my thrift store doesn't have cool stuff like you find!?? LOL! !